'LIVE IN ITALY' EP NOW AVAILABLE FOR FREE EXCLUSIVELY ON NOISETRADE! Last month, for a limited time, we released an acoustic version of “My Old Neighborhood” on James’s brand new NoiseTrade page. The response was incredible, and we wanted to come back with something else to offer both old fans, and new. Now, we are pleased to share Live in Italy, a must have collection of songs recorded at a January 2012 concert in Chiari, Italy. Until now available on an extremely limited basis, this recording truly captures the kinetic joy of James and his band as they jam on the unrecorded gem “Too Many Boxes” along with seven of the best loved songs in the Maddock canon. Although the album versions of James’s songs stand as monuments to his craft as a songwriter, it is the live renditions of the songs that reveal living, breathing organisms of meaning and emotion. It is in the live performances that the songs acquire previously unrealized intent and emotional tone as they unfold under the care of James and his virtuosic group of musicians. Counting Crows maestro David Immergluck’s mandolin is icing on the musical cake. 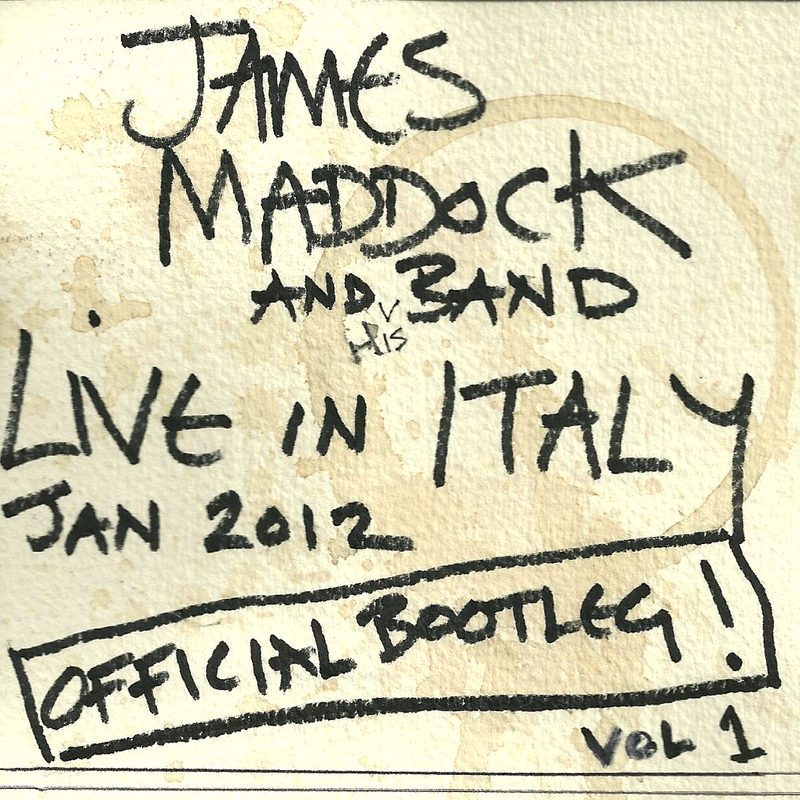 For the Maddock newbie or the James Maddock diehard, Live in Italy is a must have collection of songs! Download your free copy of Live in Italy by clicking HERE, and make sure to check out the awesome feature of the EP on the NoiseTrade homepage!